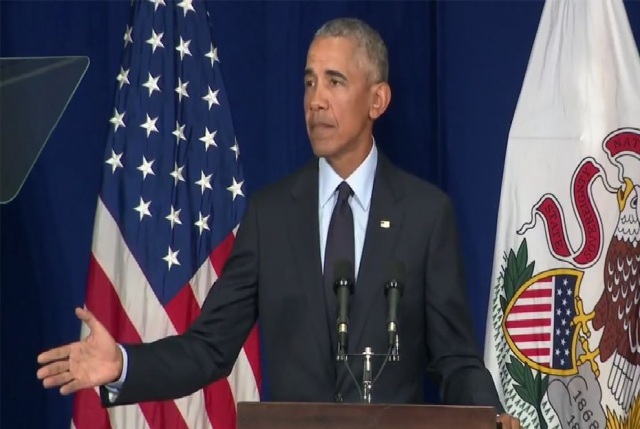 Obama Says Trump Is “Symptom, Not the Cause” of Division in U.S.
HomeUnited StatesObama Says Trump Is “Symptom, Not the Cause” of Division in U.S. The remarks served as Obama’s first steps into the political fray ahead of the fall campaign. While he has endorsed candidates and appeared at fundraising events, he has spent much of his post-presidency on the political sidelines. Former President Barack Obama said Friday his successor, President Donald Trump, is “the symptom, not the cause” of division and polarization in the U.S.
His comments came during a speech at the University of Illinois at Urbana-Champaign, where he accepted an ethics in government award. The remarks served as Obama’s first steps into the political fray ahead of the fall campaign. While he has endorsed candidates and appeared at fundraising events, he has spent much of his post-presidency on the political sidelines. In unusually direct terms, he made clear his concerns about politics in the Trump era and implored voters — especially young people — to show up at the polls in the November midterm elections.